A man has died after getting into difficulties while diving in the Sound of Mull near Oban. His dive boat raised the alarm after he lost consciousness while on a dive on Monday morning. A rescue operation was launched and he was pulled from the sea at about 11:20 and flown by helicopter to the Lorn and the Islands hospital in Oban. However, Police Scotland said he had since died. An investigation into what happened has begun. 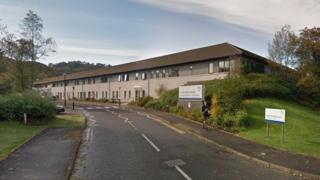 A Police Scotland spokeswoman said: "At 11.20am police were called to a report of an unconscious diver who had been rescued from the sea in the Sound of Mull near Oban. "Emergency services attended and the man was taken by Helimed to Lorn and Islands Hospital in Oban.